Have you ever felt stuck? Well, I feel stuck!!!!! 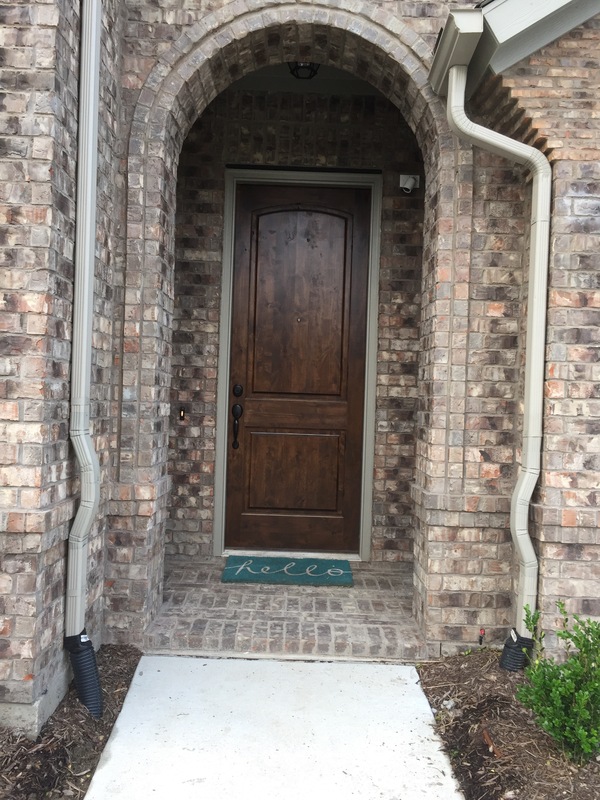 We are so grateful to finally have a house in Texas! With the market here, it was not an easy find but….I can’t bond with my house! The inside is amazing if I can figure out what to do with it but… my number one about our past homes has been curb appeal! I love a front porch with beautiful pots by the door. My dream for our house here was painted white brick with black windows, an awesome porch and double schoolhouse doors! Truth be told, I had hoped to find a house to remodel and make it ours but after moving here to be closer to our daughter during her health crisis, we figured out that there were more people than houses and prices were at a premium. Fast forward 18 months in an apartment, we moved into a new neighborhood between trophy club and Fort Worth. Our house is perfect for us and friends who occasionally visit but now I need to make it mine. When we sold our house in Little Rock, I sold almost everything with the house- furniture, rugs, art. At the time, it seemed like a great idea during a fast move. Now?…..not so much! You see, I’m a big treasure hunter! I love to find special items- not mass produced collections- and that takes time and lots of energy (which I am lacking these days). 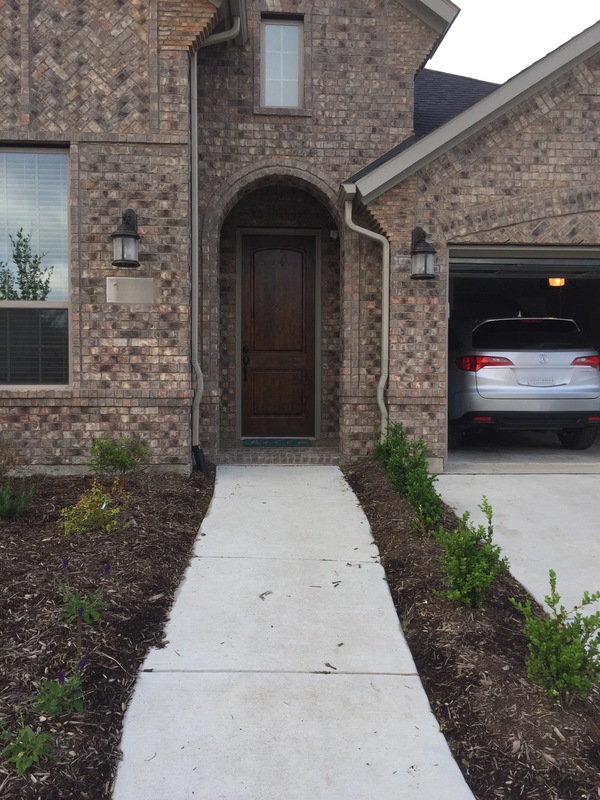 So after finally wrangling the cars into the garage this week because of the severe weather (apparently I am motivated by acts of God like tornados and hail to move boxes) I took a hard look at the front………….(crickets)…….. I got nothin! I’d love big pots outside the entrance but they planted the downspouts there. To put them inside the little alcove doesn’t seem to serve much purpose! Any ideas? I’d love to know your suggestions. Maybe just hang a wreath and head to the back yard?